Mostly people who want an exclusive android MP3 player then Galaxy Player 5 is the answer to your problem. Galaxy Player 5 is Samsung’s answer to Apple’s IPOD touch. Just like any other android phone galaxy player can be rooted and customized to your heart’s desire. You can even install custom apps and firmware to unlock the full potential of the Android Mp3 player. 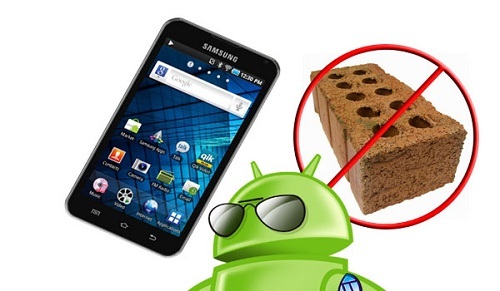 Sometimes during rooting or flashing procedure things can go wrong and you can cause your galaxy player to get bricked leaving your device dead and unusable. But thanks to the developers at the XDA forum now you can bring your bricked device back to life. They have released some tools and a full stock firmware which will cause your device to be reverted back to its original state. This article will provide you with a guide on how to bring your bricked Galaxy Player 5 back to life. So read on to find out the instructions on how to resurrect it. Samsung Kies must be uninstalled as it might interfere with Odin preventing it from performing its normal function. Find out the device model number because this ROM is only compatible with devices of model number “YP-G70 8G INTERNATIONAL”. If you have a different model number then do not attempt to flash this ROM. Press the PDA button in the Odin3 window. After the dialog box open browse to the folder and select the ROM file named “G70-recovery.tar.rar” if the file is not getting selected then unzip the rar and select the .tar file. Check the following the option repartition, auto reboot, reset time and phone bootloader update. Turn off your galaxy player 5 and reboot it into download mode. To enter download mode press down volume down + power button until a yellow triangle appears on the screen. Use the USB cable to connect your device to the computer. Once your device is connected the ID com box in Odin3 will turn yellow and display a COM port number. In odin3 press the start button to start flashing process which will take a couple of minutes to finish. Once the flashing process is finished the COM port box will become green and display Pass message which indicates flashing has been successful. After rebooting your device will start and don’t be worried it might take 10min to 15min for the device to boot to home screen. Congratulations now you have bought your device back from the dead. Whenever you mess up during rooting or flashing process now you can revive your device with the above procedures. me mato buscando el famoso G70-recovery.tar y no se donde lo puedo encontrar …. hi dude i have added the download files now; please go to the given below link and download the file which you want. Still if you found any more problem then let me know. I will try to rectify the same. Stay tuned for more android updates.